Human papillomavirus, often abbreviated to HPV, is a sexually transmitted disease (STD). It is one of the most common STDs found in people today. HPV has more than forty variances, and is a disease that affects the genital area of a male/female, or the throat. Most of the time, people don't know that they have acquired the virus. In some cases, cervical or mouth cancer has occurred because of the STD. Symptoms for HPV are warts in the genital area, though not all the time. Sometimes, a person can have HPV without knowing it, and not have the warts at all. Warts have also occurred in the back of the throat. The HPV vaccine protects against HPV, which can cause cervical cancer, as well as cancer in the back of the throat. It also causes warts, which. although they might go away, can come back. People who received the vaccine were checked after six years, and doctors did not find any evidence of a weakened protection against HPV. So, about six years. However, it can last longer, and has not beenfound to lose any of its strength. (Check with your doctor for more details on the strengths of a dosage). 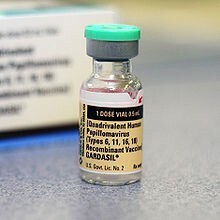 The HPV vaccine has two brands, Gardasil and Cervarix. 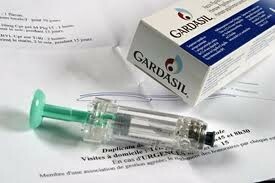 However, only Gardasil can be given to men who wish to be given the vaccine. 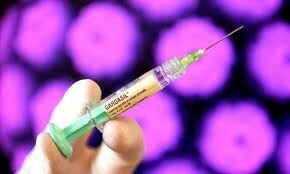 Gardasil is given in three doses, and protects most of the cervical cancers (in women), and against warts.